The Driver and Vehicle Standards Agency (DVSA) has won an award with Kainos for launching a digital service to record MOT results. The team from DVSA and Kainos accept the award. Copyright: Digital Leaders 100. 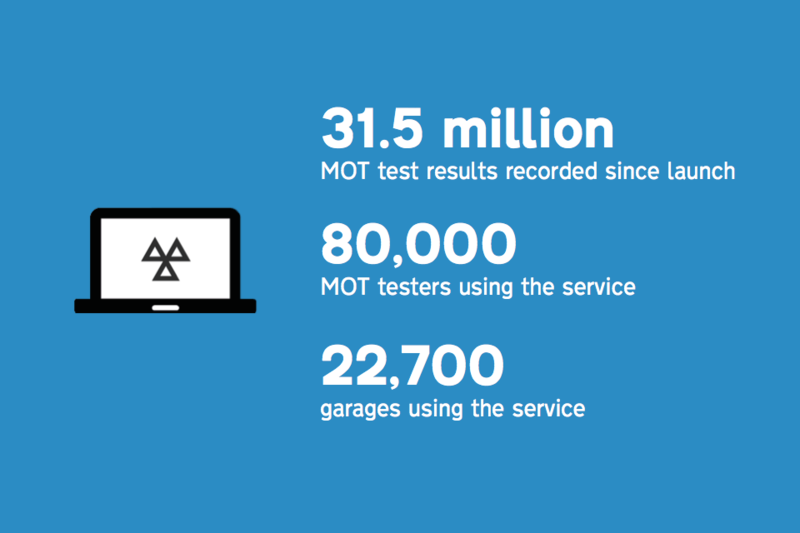 In September 2015, DVSA and Kainos successfully switched all MOT garages in Great Britain over to the new MOT testing service. 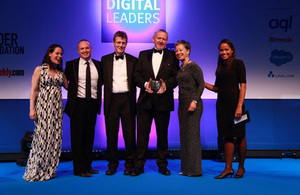 This achievement was recognised with the Cross-Sector Digital Collaboration award at the DL100 Awards ceremony in London on 15 June 2016. The DL100 Awards recognise achievements in the digital industry, celebrating both teams and individuals that are at the forefront of digital transformation. The success of the project is down to continuous collaboration between users and the project team, made up of staff from DVSA and Kainos. As a result, the digital service is easy to use, flexible and less expensive, and innovative for the public sector. Since launching, the service has recorded 31.5 million tests. Garages issue 150,000 MOT test results every day, which is more than 250 tests per minute. The system is in constant use by more than 80,000 MOT testers in 22,700 garages across Great Britain. The Government Digital Service also hailed the MOT testing service as ‘one of the best agile projects’ in a recent review. Massive improvements over the first system and much easier to use. This system is easier to use compared to the old system, much better and faster. I’m thrilled that our joint efforts to successfully develop and introduce a modern service for MOT garages and testers has been recognised by this award. This is a fantastic achievement. However, this not the end of the process. The service will be improved continuously based on user feedback, monitoring how the service is used and further research.